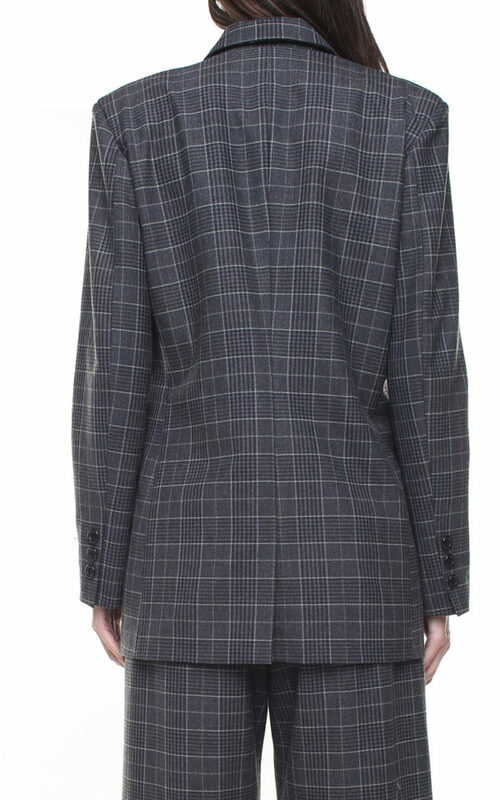 Margot Jacket Pinstriped Blue is a wardrobe’s must. 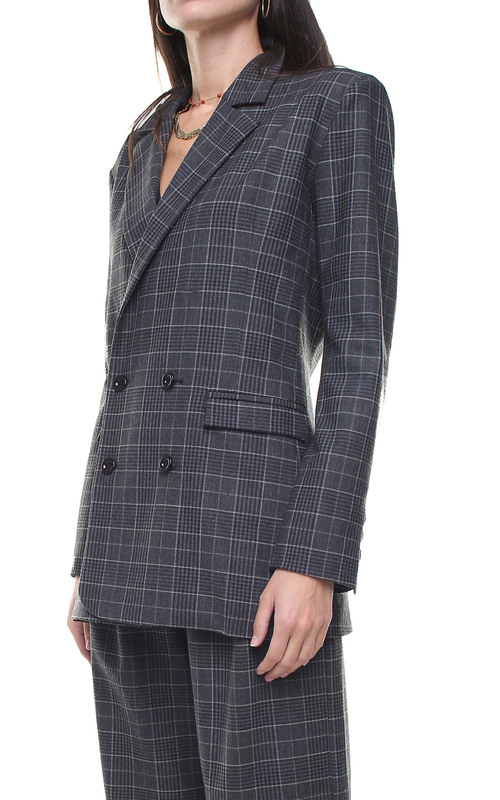 Made from an Italian surplus grey checkered wool perfect match with the grey check Isabel pants. Souldaze Collection #forbabeswhocare, ethically manufactured in Rome. – Model is 175 cm tall and wears size S.